Travel by land, water, or ice. Offering free pier slots, boat valet, and over 100 car spaces with valet on summer weekends. 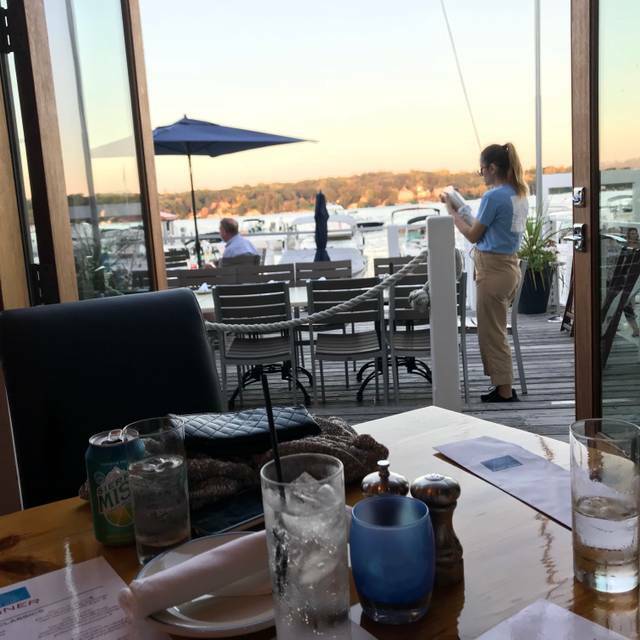 PIER 290 offers a unique opportunity to enjoy lakeside dining on Lake Geneva. Our menu showcases local food and a wine list with producers who respect artisanal techniques. The kitchen is dedicated to making as many items from scratch as possible. Ingredients come from nearby farms, including our own FARM 290 and others, such as Alden Hills Farm, Yuppie Hills Poultry, Hometown Sausage Kitchen. Breakfast is served Saturdays and Sundays from 8 a.m. to 12 p.m.
Braised corned beef, diced red skinned potatoes, onion and fresh bell peppers topped with two eggs served any style. Garnished with green onion. Toasted English muffin halves topped with two poached eggs and ham,served over crisp potato pancakes, and drizzled with hollandaise sauce. Thick baguette slices dipped in sweet egg batter and grilled to a golden brown. Topped with butter and powder sugar, and served with a side of Pier 290's thick maple bacon. Toasted bagel, served open-faced, layered with Pier 290's thick maple bacon, fresh avocado and tomato slices, and topped with a fried farm-fresh egg. Stacked smoked ham, fresh spinach, tomato and Swiss cheese slices, topped with scrambled farm-fresh eggs on a brioche bun, brushed with Dijon aioli. Toasted bagel, served open-faced, with farm-fresh scrambled eggs with breakfast sausage, fresh bell peppers, onions and creamy brie cheese. Fresh avocado, tomato and red onion slices, and a farm-fresh poached egg served open-faced on hearty multi-grain with a side of chipotle mayo. A thick & crispy Belgian waffle that is soft & tender on the inside. Served with maple syrup and fresh Wisconsin butter. 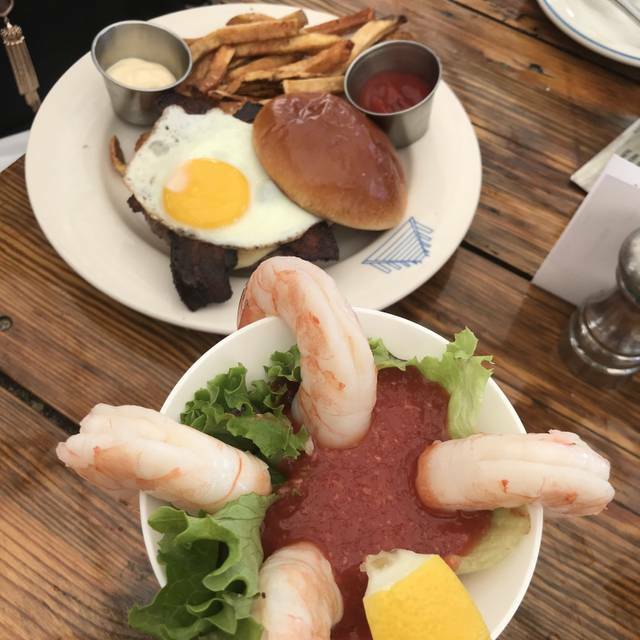 Pier 290's Traditional Breakfast Plate! Two eggs served any style, choice of bacon, sausage patties or ham; choice of crisp potato pancake or country fried potatoes; choice of toast. A grilled 6oz. Ribeye steak paired with two farm-fresh eggs served any style; choice of potatoes and toast. Stick-to-the-spoon thick sausage gravy generously served over two fresh buttermilk biscuits. Three farm-fresh eggs whisked with your choice of cheese; add your favorites: mushrooms, spinach, tomatoes, onion and peppers. Served with your choice of toast and country fried potatoes. Three farm-fresh scrambled eggs, mixed with smoked ham, maple bacon, onion, green & red bell peppers, topped with cheddar and Monterey Jack cheeses. Served over a bed of crisp fried potatoes and choice of toast. Scrambled eggs with onions, tomatoes, peppers, mushrooms and mozzarella cheese served in a thin Italian flatbread with country style potatoes. Old fashioned steel-cut oatmeal cooked low and slow topped with fresh seasonal berries, pecans and maple syrup. Extra-large hand-rolled cinnamon roll, frosted with a home-made cinnamon cream cheese frosting. Three fluffy pancakes with maple syrup and fresh Wisconsin butter. Served with a side of bacon or sausage patties. Advertised as "fine dining casual". It is casual but only adequate food & not fine dining. Be careful food not as described. Flat bread is really tortilla folded over with arugala & sliced ham in between. Nice bar. Good scenery. Server apologetic and helpful. But in the end still had to pay for the "flat bread" but got a "free" brownie & lots of apologies. Loved the decor, the view, the ambiance, and the history there! The bar area was very cute and had plenty of seating. You'd feel comfortable there dressed up or dressed down. Would love to come back in the summer; probably standing room only then! We just love it there. First Class in beautiful. Great view of Lake Geneva. What a great evening out with my husband. View awesome! Live Blues outstanding! Food just perfect! We will be back again soon! Dinner was just a treat: lots of conversation with good friends with good wine and good food and GREAT desert. First time we went for breakfast, it was GREAT! Reasonable prices, great views and lots of families. will go again. Food and service was great. Beautiful view of the lake. The food was delicious especially the crab cakes and the island shrimp. The desserts were all amazing. What a great place to have dinner or drinks and conversation. Fresh and clean, great waterfront views and attentive (but not overly so) staff. Food was top notch and the drinks were well made. The server forgot the garnishes but she was very helpful with the menu selections, and appeared to be in training. We drove over an hour just to check it out and we will be back when the weather breaks and we can sit outside. 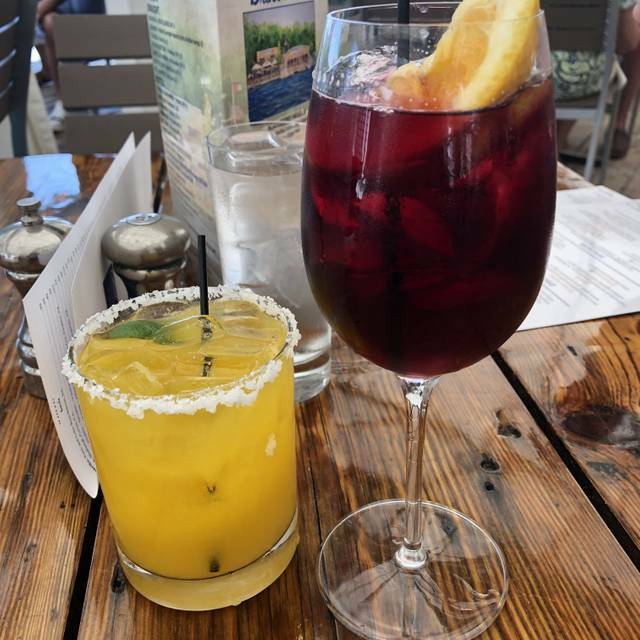 Eat here, or drink, or both. Well worth the money. 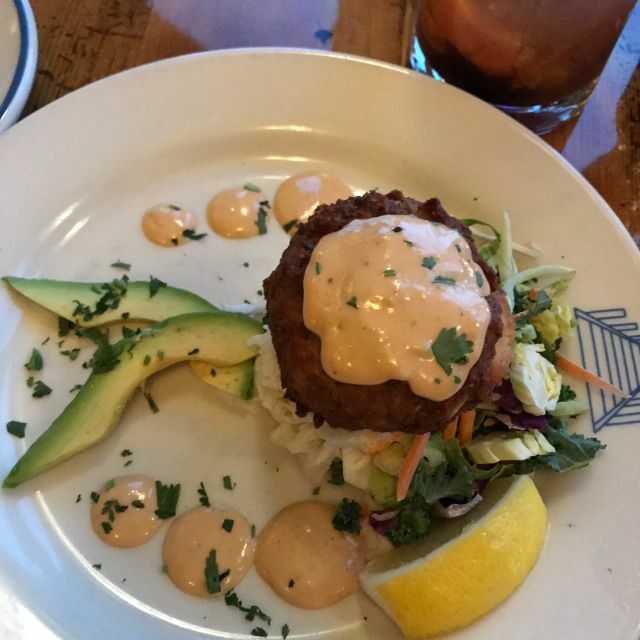 I have been to Pier 290 before but have never tried the home-made meatloaf. I finally did and it was so delicious! It came with mashed potatoes and vegetables. We had a quiet evening which was nice. Our server was excellent and very friendly. Great wine also. The Beet and goat cheese salad was very good, and as We're the side of grilled vegetables. The food was overall quite blah. My husband got the free-range chicken and I got the pasta Alfredo. The vegetables that came with the chicken were good, but unfortunately my pasta Alfredo was quite undesirable. I was really excited about this place but wouldn't return again. Food was delicious. Looking forward to visiting again for dinner. They had live music on Saturday during our lunch and the performers were great! this restaurant had great service and a great atmosphere. The view of the lake was amazing. it was a great date night for us and provided an opportunity for great conversation. The food was not as great as we hoped. The french fries were over cooked and the food was under seasoned, like my pasta and my husband's fish. The spinach artichoke dip appetizerwas good. The portions were good size. The waitress was very attentive. The food was a bit more expensive than the value. Great as usual. Awesome ambiance, food and service. Excellent live music as well with Delight Duo. We had lunch on Saturday that we had made a reservation for by the window. When we got there we were seated right away and by the window. The server was very good and the whole experience was great. 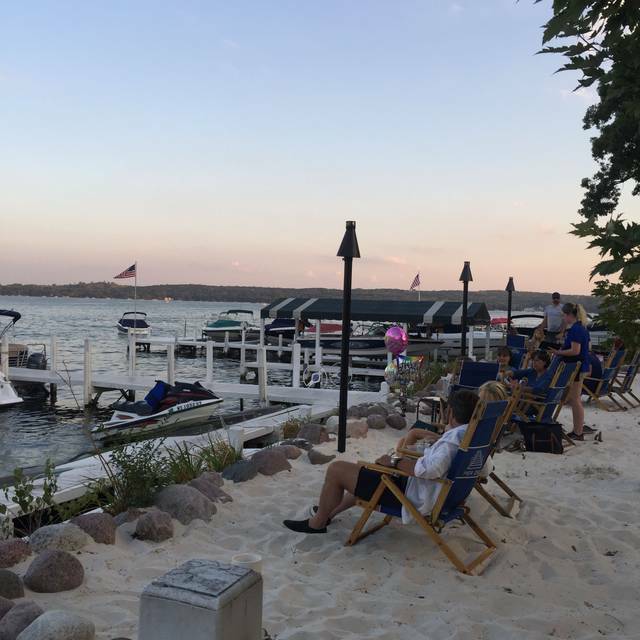 Great spot on Lake Geneva to have a wonderful dinner and amazing service. My wife had the veggie alfredo which was delicious and since we were there on Friday, I had the AYCE fish fry. They had the option between cod and bluegill and I chose to have the cod since it was a few dollars cheaper. The fish was amazing! Very fresh and the potato pancakes that came with it were delicious as well! In the end 2 entrees and 2 beers cost us about $50 after tip and tax. Not a bad date night at all!! Would highly recommend. We will have to come back during the summer to see the lake alive! Made the mistake of ordering the special. Burned scallops, tasteless angel hair pasta and for $40 they don't even throw in a salad or bread. Normally we like their food, although overpriced. Service is usually good, setting is great. Will return just because it's a great place to bring guests but definitely won't go for special occasions even if they did give roses! The taste of the food was excellent. The vegetables could have been a bit more upscale in keeping with the rest of the experience. 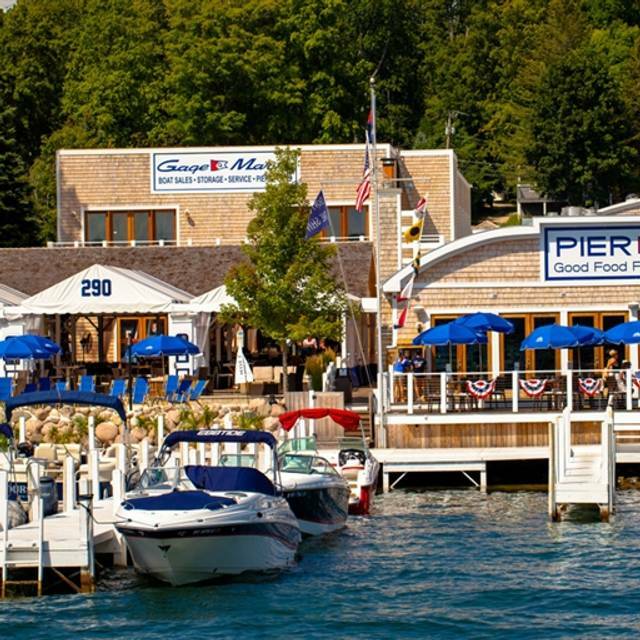 Pier 290 is a beautiful nautical themed restaurant overlooking Lake Geneva. 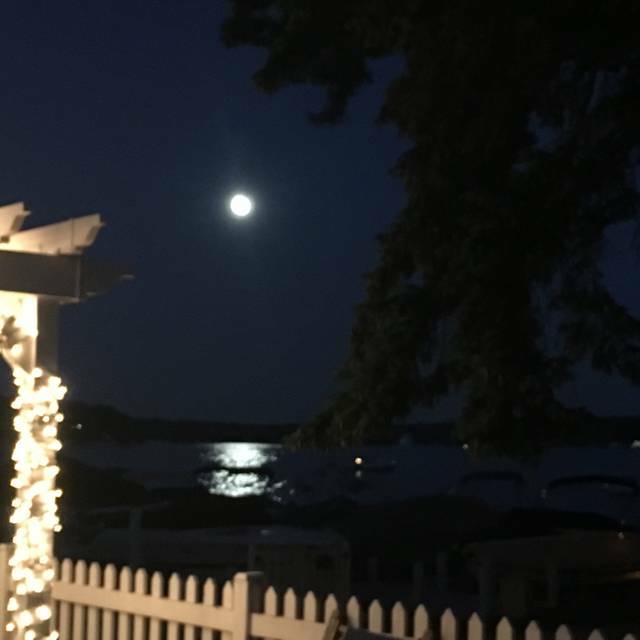 Views are beautiful, good staff, good food, & occasional live music. Highly recommend visiting if you visit Lake Geneva all year round. Located in Williams Bay. We love the atmosphere at the Pier. Service is always good and our lunch was very good. Next time we're in town we will go back to the Pier. Great setting with frozen lake, marina, shopping and restaurant. The ambiance in dining was great, hustle and bustle of bar with live vocals from musician. Chase our server new the menu well and steered us in the right direction. Four of us shared most items including crab cakes, Caesar and house salads, short ribs, bone in pork chop and Chilean sea bass, chocolate brownie for desert accompanied by a bottle of Venge Vineyards Scouts Honor wine. Very relaxing and comfortable evening, would for sure come back and recommend. We drove 2 hours to get to Pier 290 and it was worth every minute. What a beautiful restaurant, the food and service were excellent. We were there on a cold February day but it was warm and inviting inside. They have an igloo outside that would be fun to go back for cocktails and sit under the warm blankets. We will definitely go back during the summer because the views of the water are amazing in the winter I’m sure the summer, with all the boats, will be spectacular. Very nice quiet atmosphere. Staff very courteous and attentive. Value is very good for the price point. Our 2nd visit here. Will come back again. Went for lunch at Pier 290 which was recommended by a friend. We had our two picky teenage eaters with us and thought they may find it hard to choose something. 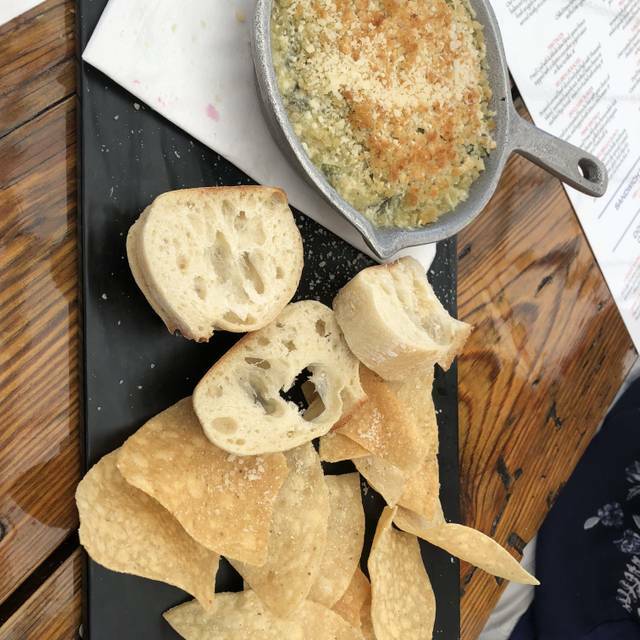 Our son had the flatbread which he really enjoyed and our daughter had the chicken pot pie which she was happy with and commented about how creamy it was. We had the prime rib and Reuben sandwiches, very tasty. We also tried the cheese curds and those were a big hit. We had two specialty drinks which were just right. We would definitely go back. Very satisfying on all counts. Off the beaten path with a local feel. Comfortable dining, delicious food, enjoyed our table facing the window. Waiter was kind and attentive. The live music was a nice cultured touch. Didnt give 5 star because although food was good it wasnt beyond fabulous. It was also expensive. Dessert was Fantastic!!! Awesome evening at 290. Great food and ambiance. Big time added bonus of fantastic live music on many nights. The fire, the food and the music. Very enjoyable night out! Awesome fish on Friday. Great ambiance. Nice staff. They’ve come a long way! Lovely ambiance to celebrate New Year's Day with my daughter at her favorite local restaurant overlooking beautiful Geneva Lake. Ambiance is nice, staff very friendly and accommodating. The food was ok. Nice portion size. Meats were grilled and tender, they just lack some flavor. 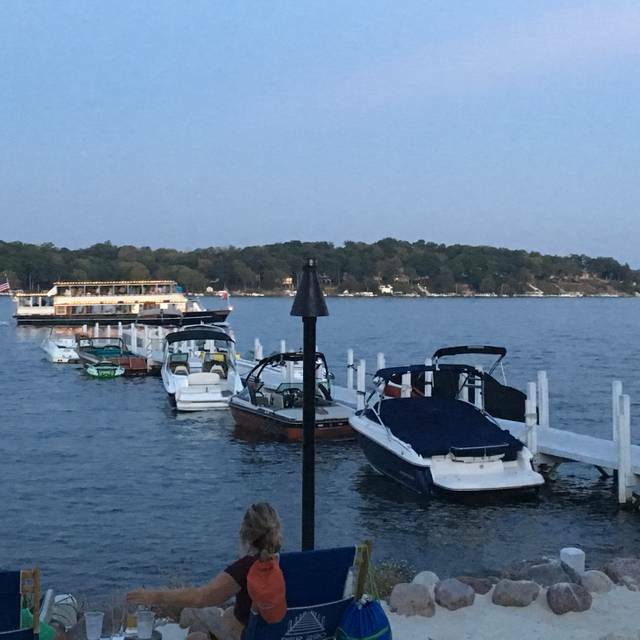 Nice restaurant tucked away in a residential district with great views of Lake Geneva. Friendly staff and good food! We frequent Pier 290 for it's ambience and the fact it's on the water. Service is always good. However, I usually leave feeling food wasn't that good. Too bad, because if food matched its decor and location it would easily be a 5-star rating. Last night my fiancee and I went here before going on the Santa Cruise. Our reservation was at 5:45pm and we did not get out of there until 7pm and that's probably only because I asked for the check as soon as our dinner was finally served. It was obvious that they were busy because it was packed, but it's always extremely frustrating/annoying when a larger party comes in after you and gets their food first... which happened at the table next to us. The waitress didn't even make mention or apologize for the long waits we have between each visit from her. Between the both of us, we only got one cocktail, water, the spinach artichoke dip, chicken caesar salad, beef tips, and the bill was about $75. TOTALLY OVERPRICED as the only things that were good were the hot chocolate cocktail I got and the spinach artichoke dip. However, with the spinach artichoke dip we literally only got 3 little pieces of bread and like 8 chips with it. We had half the bowl of dip left after using the bread and chips. Luckily, our waitress finally brought us some bread and we were able to use it to finish our, now cold, dip. My chicken caesar salad was a joke. The $3.00 caesar salad mixes that come in a bag at the grocery store taste much better than this and this cost about $20 with the chicken added! The mashed potatoes were good with my fiancee's beef tips, although it's kind of hard to mess up mashed potatoes, but the beef was just a mushy mess. We are getting married on one of the Lake Geneva Cruise Line boats next May so hopefully, that will be a better experience. Thankfully, we aren't catering our food from Pier 290. Our Christmas was made extra special by dining here And going on the Riverboat, Lady of the Lake Santa Cruise! Our waitstaff Lia was awesome and we are adopting her, too. Thanks again! Our waitress was great! Very nice and well versed of the food options and questions we asked. Food was good but not great. Bill was as expected around $100. We were there for the Santa Cruise. Kids were supposed to have a free dessert included with their meals, but to a great disappointment we were told we had to come back in after the cruise for dessert. With 3 younger children this just doesn't make much sense in a very crowded environment. When we expressed our disappointment we were told we could come back in and grab them togo which would have been okay. Upon returning it took 20 minutes for the togo dessert to be ready. I would have left but my wife and three children were waiting in the car for their desserts that they already had to wait for. It was very irritating that these couldn't just be given with our meal and then the extended wait afterwards. Seemed to be very unnecessary.